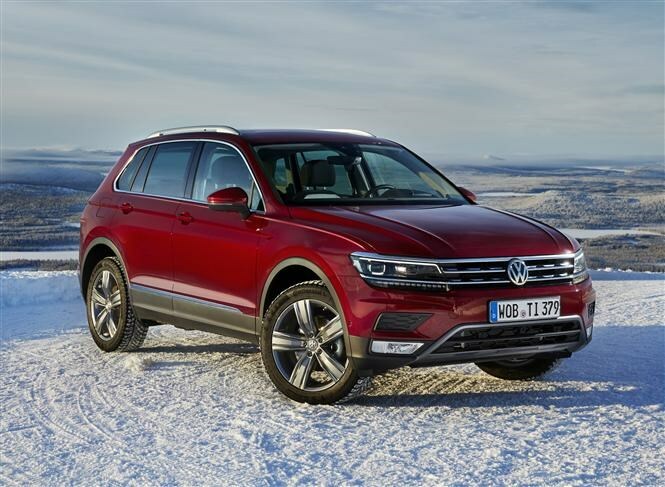 Manufacturers like to tell you that a new car is a big deal for them and it’s not always entirely accurate, but when Volkswagen says its new Tiguan is important, you can believe it. Sales have increased year-on-year since 2011 with its strongest performance last year, and more than 2.8 million cars have found homes worldwide. Plus it has to fend of rivals like the BMW X1,Mercedes-Benz GLA and Ford Kuga. 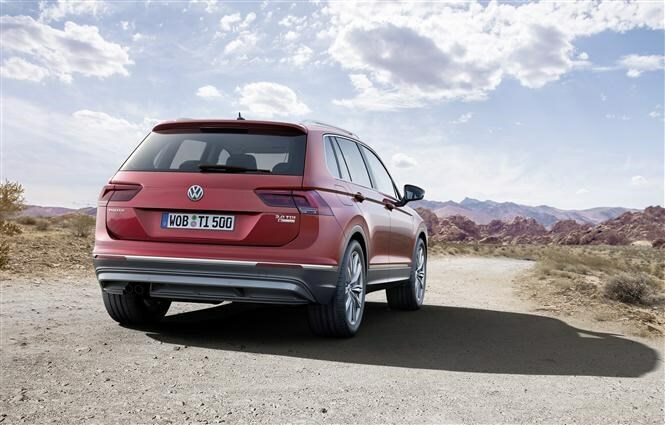 The second-generation SUV is the firm’s first to be built on the modular underpinnings used in everything from the Audi TT Roadster to the Touran people carrier, and it promises a better driving experience with more space. 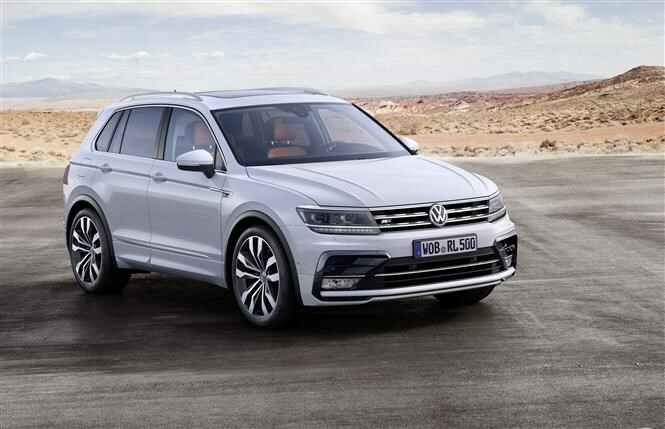 This new Tiguan is constructed around the VW group’s modular transverse matrix platform (think Golf, Octavia, Passat et al) which means it’s larger but lighter, too – to the tune of 50kg. Despite that weight loss you actually get more space inside thanks to an additional 77mm between the wheels. The boot is 145 litres larger too, so you get 615 litres (more than an Audi A4 Avant) and 1,655 litres with the seats folded nearly flat. The stiffer chassis also allows softer suspension to be used without ruining the handling, and the old car’s maximum towing capacity of 2,500kg is retained. The last car ditched its petrol engines because they accounted for just three percent of sales. 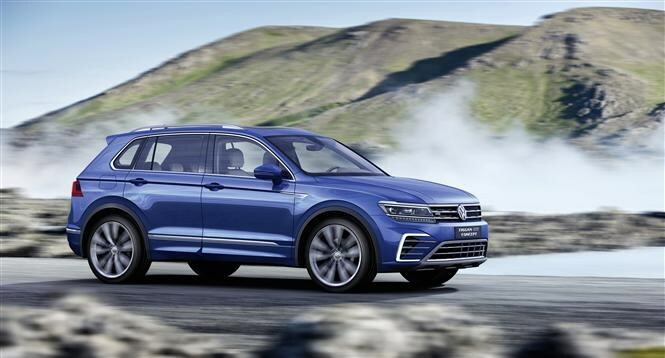 This new Tiguan will have eight powerplants in total, split right down the middle, with petrol expected to make up five to ten percent. 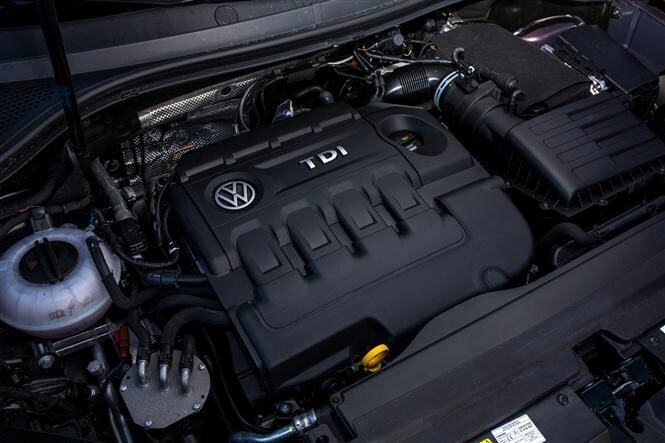 It’s not certain which of the eight we’ll get in the UK, but we can tell you that from launch in April you can have a 2-litre TDI with 148bhp or a 2-litre TSI with 178bhp – both of them punchy and refined. Coming later will be the 237bhp biturbo diesel (we’ve driven this in the Passat) and the possible appearance of a GTE plug-in hybrid version. Things get a little harder to predict with the rest of the European-spec engines - there are five in total, with the majority available to order from the word go. There are 1.4 and 2-litre petrols (123bhp, 148bhp, and 217ps), and 2-litre diesels (113bhp and 187bhp). Expect a starting price around £23,000, with manual gearboxes on the lower powered engines, optional DSG automatics on the middling power versions and automatics as standard on the higher outputs. You can have four-wheel drive on six of the eight engines, and it’s standard on four of them. It uses an all-wheel drive system to send nearly 100 percent of the power to the rear axle when it detects a loss of grip at the front. 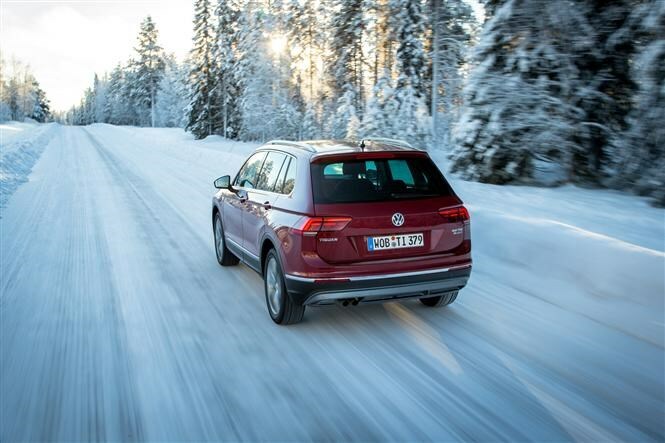 Helping to regulate this is VW’s new 4Motion Active Control, which tailors driving parameters (dampers, drivetrain, steering and cornering lights) for different driving conditions, such as road, snow and off road via a rotary toggle next to the gear shift. The XDS+ system slows the inside wheels to tighten your line around a corner, and 4x4 cars get an additional 11mm of ground clearance. The old Tiguan wasn’t exactly a bad place to sit but it wasn’t particularly exciting either. This new one benefits from a more Golf-like ambiance with sharp lines and metal framing, and the majority of the controls tilted towards you. It’s more functional too, with our test cars fitted with the eight-inch infotainment system (called Discover Navigation Pro) featuring MirrorLink, Apple CarPlay and Android Auto for full smartphone connectivity. We also had the 12.3-inch Active Info display with digital dials (rev-counter and speedometer) and a customisable centre area that can show the sat-nav or media information. On top of all this is a head up display is projected onto a plastic screen above the dash. 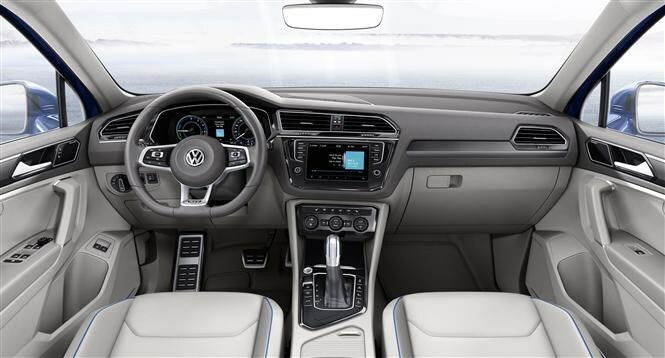 Safety tech includes city emergency braking, lane keeping assist, a system that keeps an eye out for pedestrians and cyclists, and automatic post-collision braking. You also get seven airbags, including one for the driver’s knee. It's hard to come to a definitive verdict after only driving on snowy roads and a frozen lake but early impressions are good. The engines are quiet and the new cabin looks much better than before, with very comfortable seats and a big boot. We're excited about seeing a proper production spec in the UK this spring to see if it can live up to these high expectations. 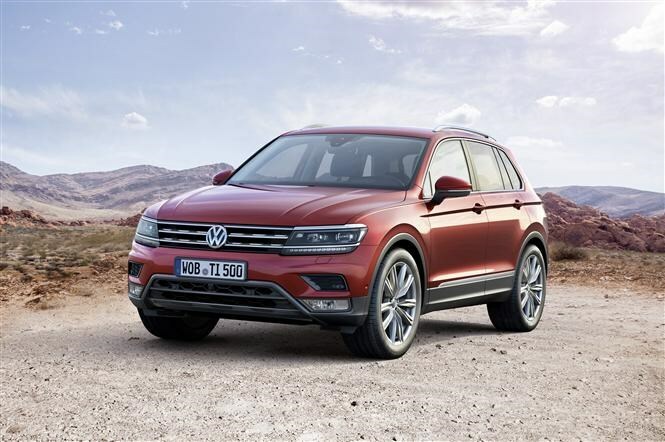 Did you know the most popular review for the Tiguan range is the Volkswagen Tiguan review.